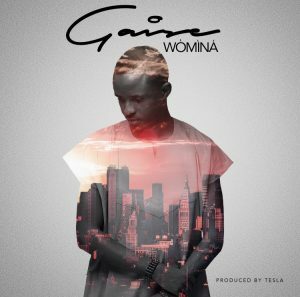 Weeks ago, Gboluwaga Akinade Ibuoye, popularly known as Gaise revealed to his esteemed fans to watch out for series of wonderful tracks from his upcoming album. Today, he officially released one of them, titled, Wòmíná and produced by Tesla. Wòmíná is really a simple song with relatable lyrics laced on a relaxed yet groovy beat, and it‎ speaks of a confident rest and sufficiency in God, regardless of the various forms of crisis we seem to be surrounded by in recent times. We have decided to give out Wòmíná for free, trusting that you will be willing to pay a token for the subsequent songs we will be sharing with you.